This morning I opened my inbox to a flurry of emails offering “50% off” sales. It’s Black Friday, the day when consumerism is raised to the level of a national holiday. To me, it’s a great day to remember the importance of smart financial self-care. 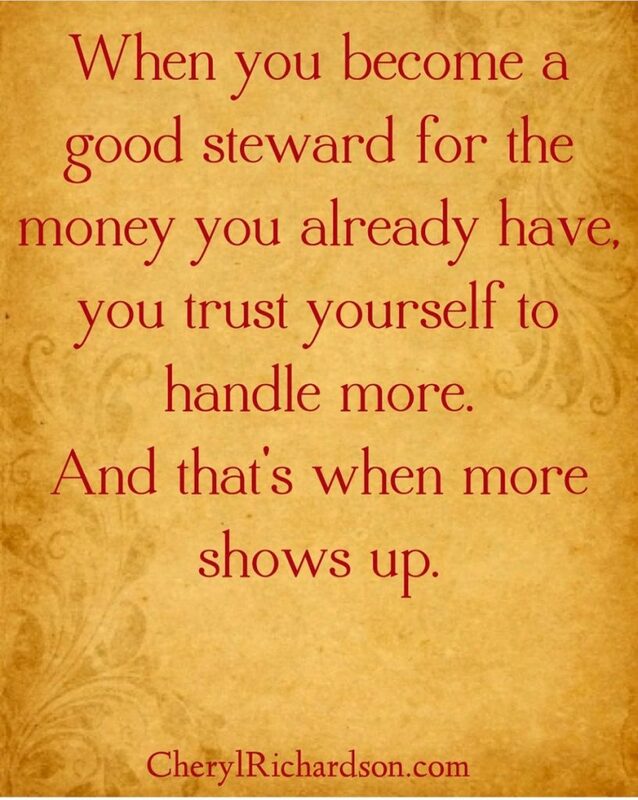 Being a thoughtful steward with the money we have is the secret to creating more abundance. Spend wisely. Live within your means. Say no to debt. Say yes to peace-of-mind and the reality that the most valuable assets in life are what the soul wants most: Experiences. Connection. Growth. Love. I love her creativity and the emphasis on giving her children an experience rather than going into debt to make them happy. Not only that, it sets a great example that might teach her kids to practice smart financial self-care as adults later on. This is the time of year when it’s easy to go overboard with gift buying. I’ve had my share of debt-filled anxiety going into the New Year because I spent more money than I should have in order to experience a few minutes of joy on a loved one’s face. Not anymore. There are so many creative ways to give the gift of experience. You might write a letter to someone you love letting him or her know how much you appreciate them. Or, you could arrange a festive, fun tour of the neighborhood to see Christmas lights while sipping hot cocoa and listening to holiday music. Here’s something I’ve done in the past that’s been very well received. It’s the kind of gift that could really make a difference in someone’s life. It’s the gift of your time and talent. There are several benefits to giving this kind of gift. First, you relieve a loved one of the emotional stress that comes from procrastination. Second, you give this person an on-going reminder of how much you care. After all, if you help a friend organize a kitchen closet, he or she will think of you (and feel loved) every time they open the door. Third, giving the gift of your time adds less stuff to the planet. And finally, it gives you a chance to spend meaningful time together. Like it or not, the state of our finances has a powerful impact on our emotional and physical health as well as our ability to make choices that lead to an ideal life. I like feeling free from money stress and I bet you do, too. No more unconscious gift buying for me. As much as I love my family and friends, I love my sanity more . P.S. – This week’s Facebook Live will be held on Tuesday, December 4th at 12pm EST/9am PST. You can watch past sessions on my YouTube channel at CherylRichardsonTV here.